Herpetology and conservation of imperiled species. B.S. Biology. 1981. Florida International University. 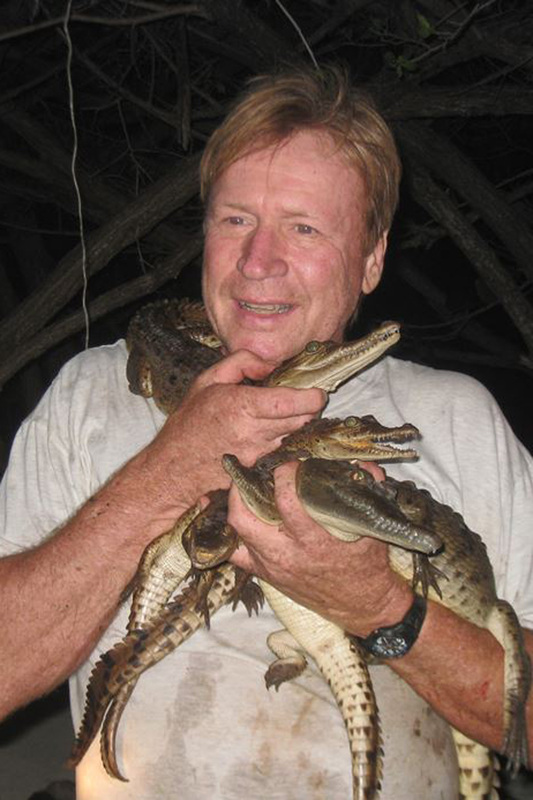 Joe's diverse work has let to his appointment to the IUCN, as a member of both the Crocodile Specialist Group and Iguana Specialist Group, member of the IUCN CSG Tomistoma Task Force, Bahamas National Trust as well as the Explorer's Club located in New York City. He is also president of Natural Selections of South Florida, an environmental consulting firm. He has made appearances on NBC's Today Show, the Tonight Show (with both Johnny Carson and Jay Leno), ABC Evening News and CBS Nightly News. He also regularly consults with natural history productions and national/international news outlets such as National Geographic, Animal Planet, Discovery Channel, BBC, CBS, NBC, ABC, CNN, HGTV, History Channel and Al Jazeera News. Joe is currently working for Jadora International LLC as Vice-President of biodiversity in addition to lending a hand to The Croc Docs on various research projects.